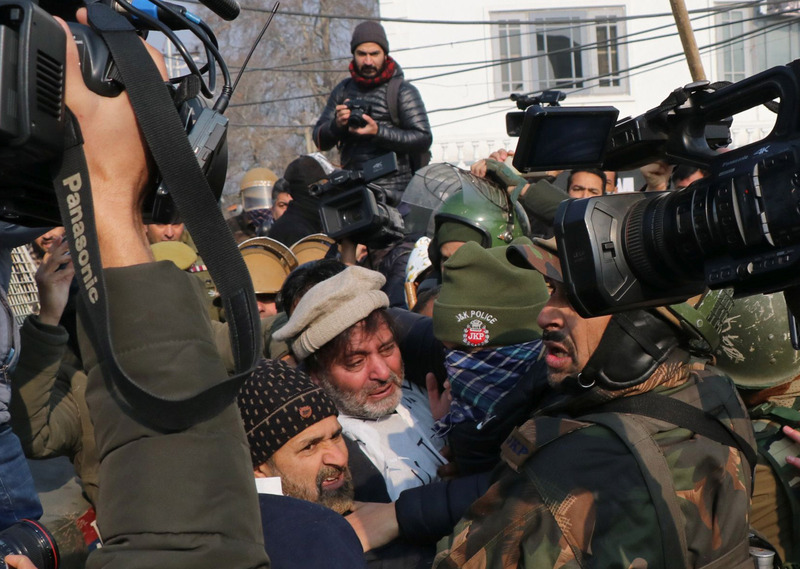 Jammu Kashmir Liberation Front (JKLF) chief Mohammad Yasin Malik on Monday was detained by police after he tried to march towards the Badami Bagh army cantonment from Maisuma in Srinagar. Malik along with the scores of JKLF leaders and activists’ including women assembled at Gaw Kadal and started a march towards the Badam Bagh army base, but as soon as Malik reached near Budshah bridge a police arty swung into action and detained him. An eyewitness said that police fired tear gas smoke shells to disperse the crowd. Pertinently, some parts in Srinagar have been sealed by the authorities as the resistance leadership had called for a Badami Bagh Chalo. The areas where restrictions are imposed under Section 144 of CrPC are Khanyar, Rainawari, Nowhatta, Safakadal, MR Gunj and Ram Munshibagh police stations of the district. 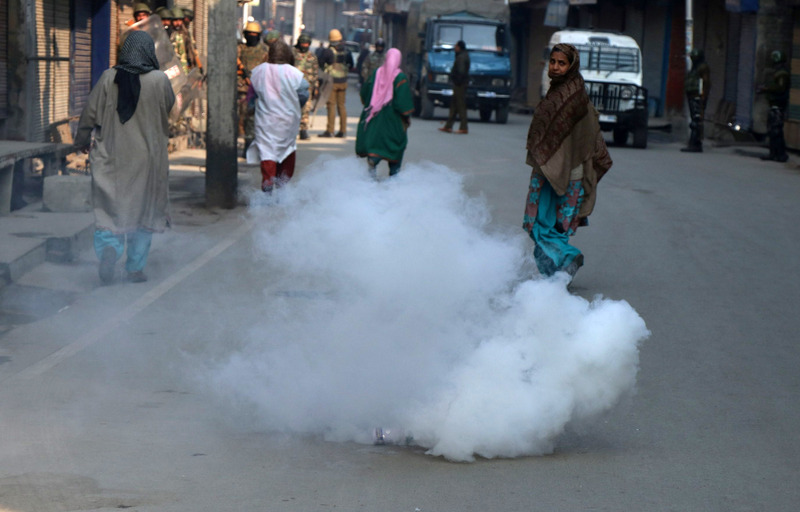 Meanwhile, the Kashmir valley is witnessing a complete shutdown on the third consecutive day, to mourn the killings of seven civilians and three militants killed in Pulwama district of south Kashmir.